Social wellbeing by building new friendships, a stronger sense of community, openness to discussing problems, and a sense of value to society. 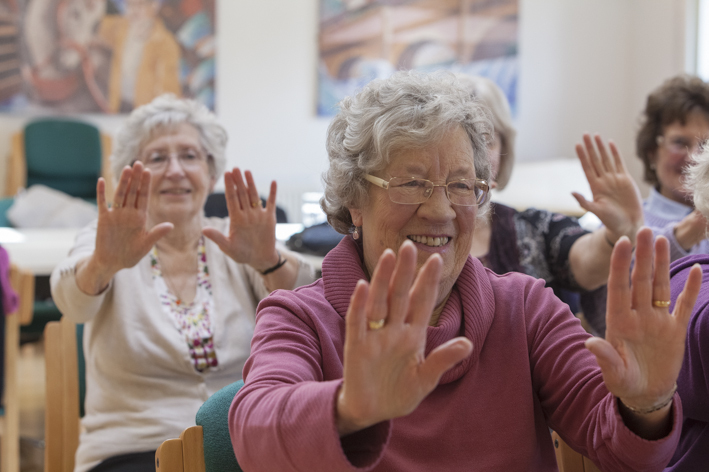 Delivered through weekly classes in communities and care homes within England and Wales, Balanced Lives combines physical movement, caring conversations, information sharing and socialising. Legacies help us to deliver more wellbeing support and make the later years the best years.